Alison Luchs, curator of early European sculpture at the National Gallery of Art, presents a lecture on the first comprehensive exhibition of Della Robbia glazed terracotta sculpture in the United States. Originating at the Museum of Fine Arts, Boston, the show has taken new form at the National Gallery of Art in Washington from February 5 through June 4, 2017. Installed amid the light-filled architectural spaces designed by John Russell Pope based on ancient Roman and Renaissance models, the exhibition focuses on the new art form that emerged in fifteenth- century Florence through the genius of Luca della Robbia. Exalting a humble material, clay, through brilliant modeling and surfaces shining with time-defying color, Luca created sculpture of a kind unknown to the ancients, legible at great distances, suitable for both indoor and outdoor display and, as Vasari wrote, “almost eternal (quasi eterne)”. Through 40 fine examples the exhibition shows how Luca, his nephew Andrea, Andrea’ssons and the competing Buglioni family continued to innovate as they created works in glazed terracotta, from high reliefs to small household statuettes to life-sized sculpture in the round, meeting international demand for both religious and secular sculpture over three generations. Most of the works exhibited come from American collections, but six key loans have come from Italy, include Luca’s remarkable Visitation from San Giovanni Fuorcivitas in Pistoia. 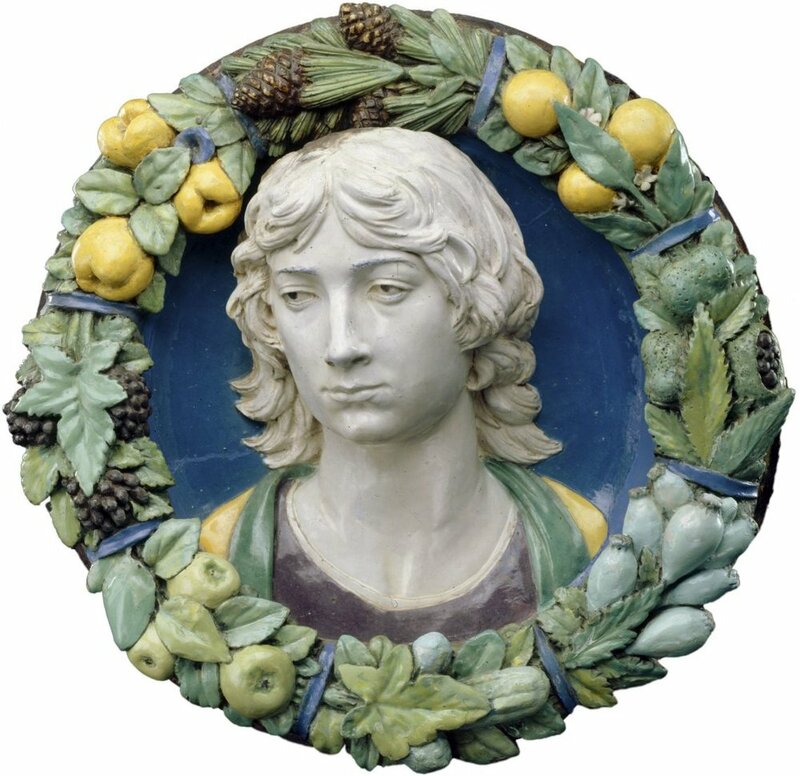 The human sensitivity, spirit-lifting color and technical ingenuity that secures the appeal of Della Robbia sculpture into the twenty-first century are explored through the exhibition and the lecture. PLEASE NOTE: RESERVATIONS ACCEPTED EXCLUSIVELY THROUGH EVENTBRITE. NO PHONE OR EMAIL RSVP AVAILABLE. THANK YOU FOR YOUR UNDERSTANDING.